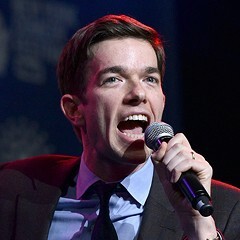 John Mulaney isn't even 30 and he's already had a career in comedy that longtime veterans would kill for. So far he's best known for his work writing for Saturday Night Live, including cocreating the character Stefon with Bill Hader, which would earn the pair a spot in SNL history even if they never did anything else. But stand-up fans might also know him for his 2009 album The Top Part, which is one of the funniest and most listenable comedy concert albums of the past decade. 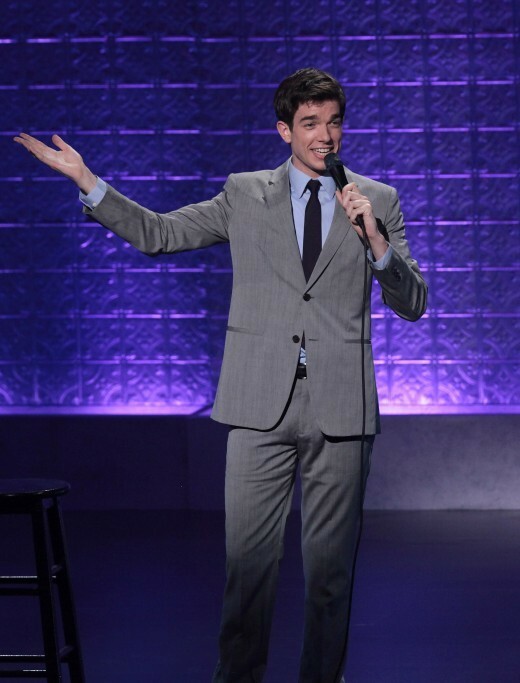 Tomorrow night Mulaney's new standup special, New in Town, airs on Comedy Central (9 PM CST), and an album and DVD of the special is out on January 31. After the jump is a brief Q&A between myself and the Chicago-born comedian as well as a couple of clips from the new special. You talk in your new special about how long you'd wanted to live in New York and how much you enjoy living there. But I know you were in Chicago for a while. Tell me about the difference between your experiences living there and here. I grew up on the north side in Lincoln Park and I love Chicago. I loved growing up there. And as much as there are amazing places like ImprovOlympic and Second City I didn't do much comedy in Chicago. But that's just because I left for college and I started doing improv in college and then I moved to New York right after. So I was in Chicago from zero to 18 and never really was there as an adult to take advantage of all of the amazing comedy in Chicago. I go back now and perform and I love it. I just kinda got started outside of Chicago and started coming back. Chicago was awesome to grow up in but it's different to be an adult. Whenever people ask me, "Oh I'm going to Chicago where should I eat or where should I go," I went out when I was 14, 15 to bars that would let in children. So I don't have the recommendations on cool places. And when I go back I eat at home with my parents. The writers at Saturday Night Live—there's a long tradition of boundary pushing and self-conscious edginess. I was watching your special last night and it struck me that aside from the swearing there's not a lot in your material that's…I could watch the special with my mom, you know? Is that something purposeful or is that just a reflection of your own tastes or personality? Probably a reflection of my personality a little bit. Sort of nice, but swears. Swears about things that don't need curse words. I am a huge fan of a lot of different types of comedy and I like stuff that's a lot darker than me. But it's just not exactly what I wanted to do. And also I think someone else made this point better, if you're going to write a joke about a really dark subject it has to be the best joke about that. And I don't have the best ones. A lot of writing goes into standup and you're working on a weekly show at the same time. How do you keep up the constant creative output and are you ever afraid of burning out? It's just important to find downtime when you can. When you're constantly turning stuff into sketches or stand-up jokes you're not having any kind of a life. [Laughs.] The best thing to do is, when I'm free, hang out with friends and be a person and not try and think of everything like you're trying to write a hilarious character based off of the people you're talking to. I was happy that you went back to Law & Order again because I'm a big Law & Order watcher, pretty much on a daily basis. The first album, your Law & Order bit, it affects the way that I watch Law & Order to this day. But what is it about Law & Order that, I mean you're obviously a little obsessed with it. I think it's just, people write jokes about their kids or their dogs or whatever's around them all day. And Law & Order is just around all day. It's on TV from morning to night. I love it and I watch it but yeah, it feels just like a constant. The thing about Law & Order is that it's essentially the same show over and over with minor differences from episode to episode. Yeah, and you notice patterns in them and it's fun to watch it on another level of like, okay if they've caught the guy at the half hour then he's guilty. If they catch him well before the half hour then it means it's not really him and there's a twist and somebody else did it. I'm sure it could be gambled on. I haven't worked out a system but I'm sure you could come up with some sort of gambling framework for every episode. The stand-up comedian has drawn inspiration from unlikely sources.